Over 660 pieces are up for grabs from Clyde Auctioneering on Saturday Feb 16th, 2019. Included is a quality selection of firearms and ammunition, as well as great hunting and fishing supplies. There is a great selection for bidders, and bidding opens live at 10 AM Mountain Time. 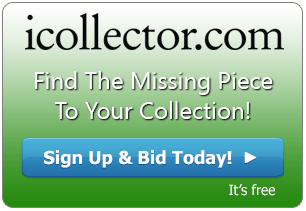 Bidders can leave bids ahead of the auction, and register quickly, on iCollector.com. All items open for five dollars! 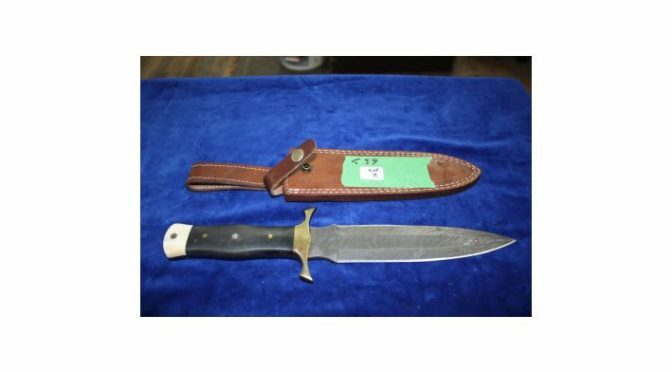 Lot 7 offers up an 8 inch Damascus with a dagger like blade. It has a brass guard, a micarta and bone handle, and comes with a leather sheath. The auction has over a dozen Damascus knives up for auction! Lot 104 is one of the feature Winchesters of the day. It’s a model 1894 with a saddle ring cargine, 30 WCF, and lever action. The serial number is 625813. Winchester buyers should also check out Lot 166 which offers a model 85. It features a saddle ring carbine, lever action, and has serial number 418974. Clyde Auctioneering has over 60 lots featuring ammo for many kinds of firearms as well as vintage and ammo for the collector. They have rifles not only from Winchester, but also from Ruger , Enfield, Browning, and Savage. There is also a great gun case up for grabs at Lot 539. The entire catalog for February 16th is up for absentee bidding now, and each item has its own photo for pre inspection. The auction will give the bidders online a live audio feed to be part of the auction, and it will be a fun day of auctioneering for both the auctioneer and the participating bidders. Contact Clyde Auctioneering by email or telephone to discuss bidding and any questions about the individual knives up for sale.